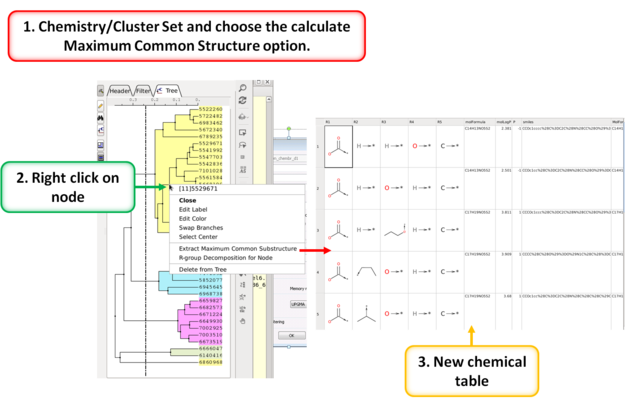 10.25.1 How to perform chemical clustering. 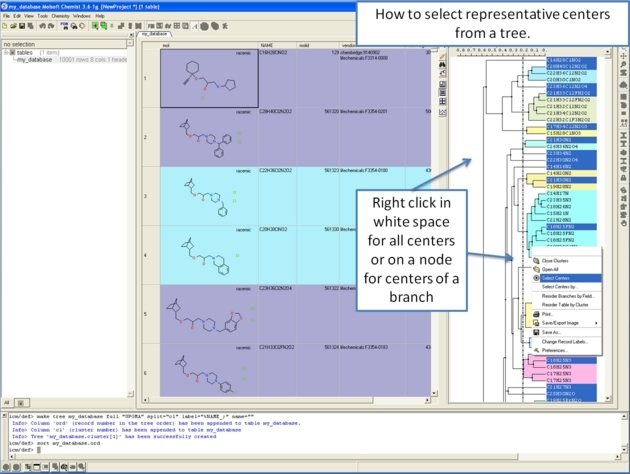 10.25.2 How to select representative centers from a tree. 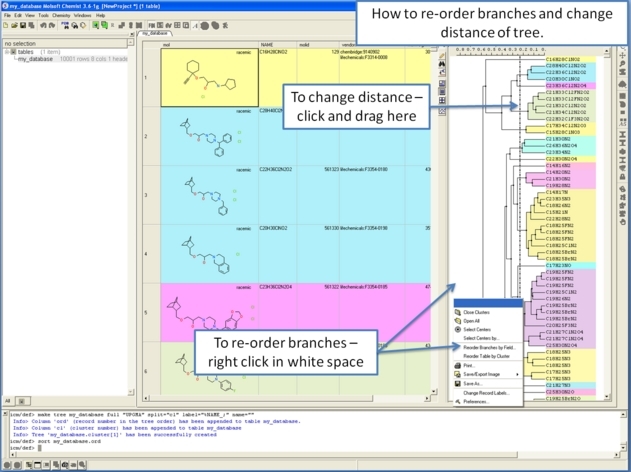 10.25.3 How to reorder branches and change the distance of trees. 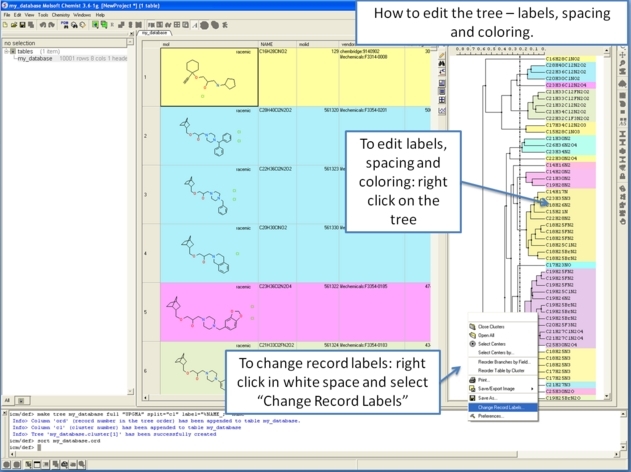 10.25.4 How to edit the tree - labels, spacing and coloring. 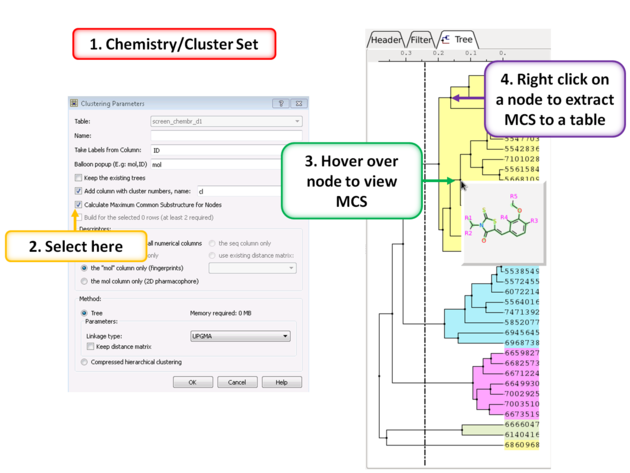 To make working with large cluster trees a little easier you can activate the auto close mode which will close downstream clusters and make them more compact. Right click in white space on the cluster and choose Preferences. 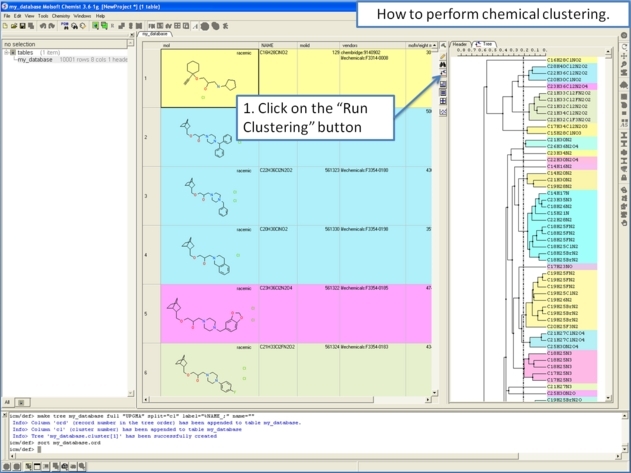 Select "Auto Close Clusters Downstream". Hover over a node to view the MCS. Right click on a node and choose "Extract Maximum Common Substructure" to extract it to a table. Select the option Calculate Maximum Common Substructure for Nodes. Right click on a node and choose "R-group decomposition for node". The resulting table can be used for R-Group Enumeration or SAR.